A research project led by Ray Mundy of the University of Missouri-St. Louis (UMSL) is examining the financial sustainability faced by most United States transit systems. 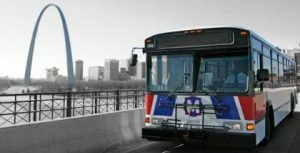 The study is determining the sustainability of the mass transit systems in two Midwest cities, the St. Louis Metro and the Chicago Regional Transit Authority. Researchers also will examine mass transit alternatives implemented in various countries and will suggest solutions, says Mundy, the John Barriger III Professor of Transportation Studies and director of the Center for Transportation Studies at UMSL. Public transportation funding continues to require federal, state, and local tax reserves to try to address the needs of urban communities. In addition, costs keep rising. Mundy cited National Transit Database figures indicating that total mass transit federal funding increased 72.5 percent from 2002 to 2012. Some of the challenges faced by urban transit systems include stagnant ridership partially due to the conveniences of automobiles, high labor costs, and an aging infrastructure. The researchers have suggested several viable alternatives, such as utilization of public-private partnerships, reducing costs and increasing revenue, contracting out transit services to private parties, use of competitive tendering of routes, an introduction of competition for innovative services, and strategies to rein in growing debt. The Midwest Transportation Center at Iowa State University provided support for this project.